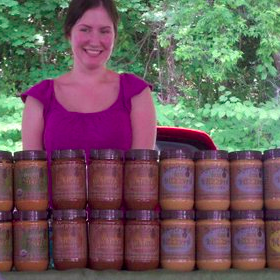 Using all natural flavors and ingredients, Saratoga Peanut Butter Company makes a unique variety of peanut and other nut butter blends that taste delicious and remain 100% nutritious. Saratoga Peanut Butter Company never adds artificial ingredients, keeps the sodium and sugar levels low to none and provides a product that is fresh and quality controlled in smaller batches. All products are made in Historic Saratoga Springs, NY.